Kevin McCall threatened Chris Brown and his 5-year-old daughter Royalty on Twitter and its not going down well. The singer/rapper was in the hospital this week for getting shot in his foot. The story about how he got shot is still fuzzy but we know that some folks are saying that he shot by Breezy. He has since denied both, without revealing who really did the deed. 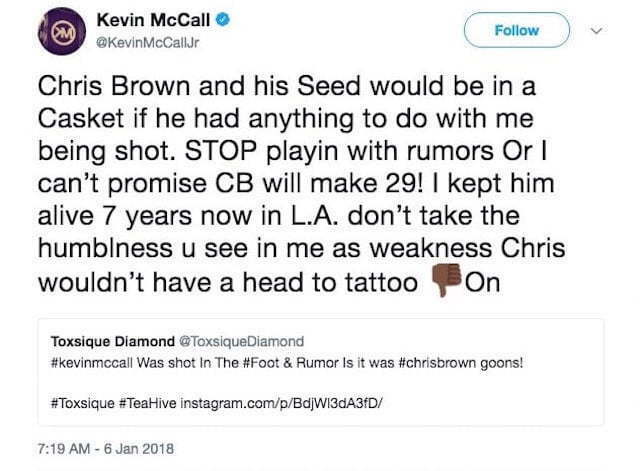 McCall and Chris Brown have been beefing since around 2012 and they are not making peace anytime soon, not after McCall threatened both Chris and his daughter Royalty. Chris Brown shows off his new Mortal Kombat head tattoo this week, so that is what Kevin McCall was referring to. Nevertheless, that tweet didn’t go down too well and fans started blasting him for threatening a 5-year-old. He then deleted the tweet and backtrack on what he said, saying that he has nothing but love for Brown and his daughter Royalty. 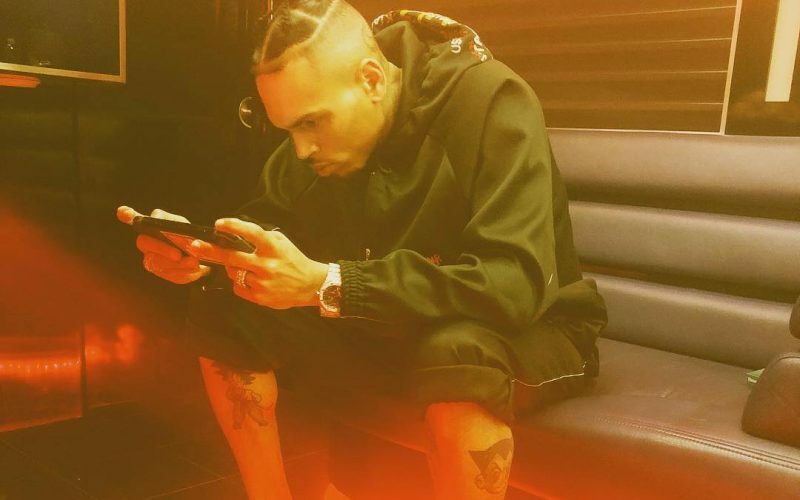 Breezy has not responded to the controversy and likely will not. 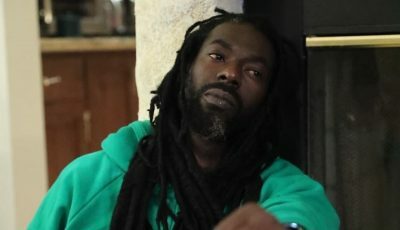 As for the shooting incident, McCall reportedly filed a police report but plans to take no further action on the matter, so perhaps he plans to deal with it in the streets. In one of his tweets, he made an interesting revelation claiming that the person who shot him also tried to kill Chris Brown for $500. “It’s what people have tried to do in the past the person who shot even tried to kill him for 500$ and I fought him for it. So if someone does Kill me for what I said..again it’s gonna harm a lot of people for a long time don’t try to make CB look Gangster clown me & leave CB be,” he tweeted.